Divya Madhunashini Vati Extra Power solves complications from diabetes. Over time diabetes affects vision, immunity, strength in limbs and leads to skin disorders and weight problems. 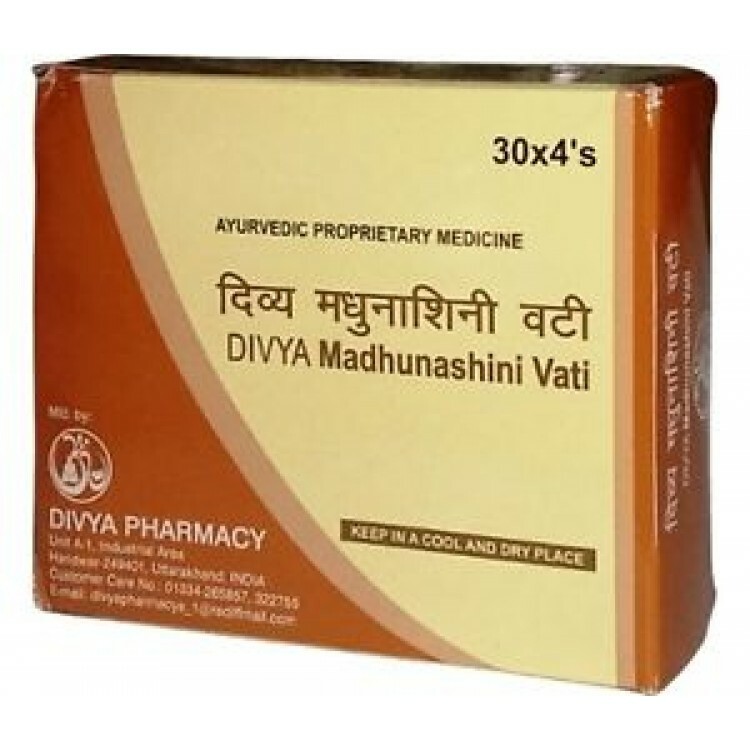 Take Divya Madhunashini Vati Extra Power to control the onset of diabetes-related problems. Divya Madhunashini Vati Extra Power strengthens immunity, boosts your brain and nervous system, revitalizes energy and restores your health. Don't let diabetes bog you down from enjoying life. Take Divya Madhunashini Vati Extra Power to experience the soothing effect of Ayurvedic medicine prepared with extra care from the goodness of natural ingredients. Pack containers 4 foil strips of 30 tablets (total of 120 tablets).